Still a bit of a work in progress, but I've been working on a project for quite a while now. 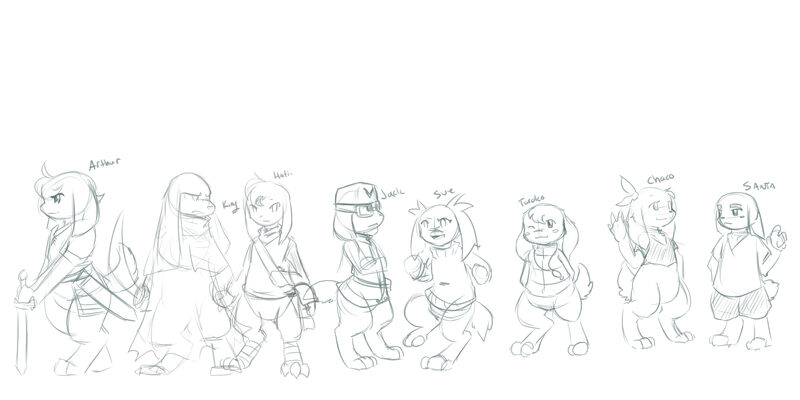 Currently trying to get all of the character designs down so I can keep everything consistent. Some are a bit out of scale (Toroko is a bit too short for my liking) so I'll need to adjust the scale of everything before its completed. My main concern is Arthur, considering the only image we get of him in Cave Story is a grave. What I've done so far is essentially just taken Toroko's traits and added some armor. I'll likely end up tweaking the clothing quite a bit before I finish.